I’ve given some loaves away to the neighbors. 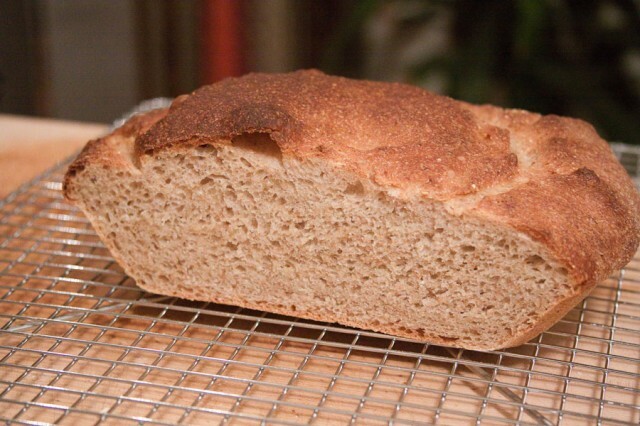 Today I experimented with a 6-grain bread of my own devising. It was about one-third whole grains with the remainder white flour, sweetened with maple syrup. The dough was a little too damp so the shape doesn’t look good, but it tastes wonderful and has a good texture. 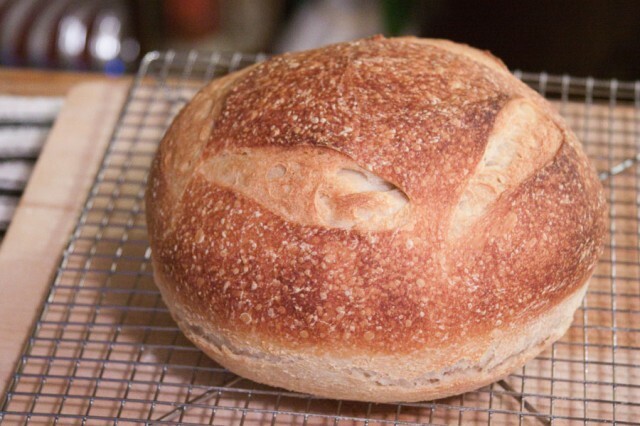 i really need to try my hand at sourdough, since i have intermittent luck making standard yeast loaves; i’ve actually had better luck most recently using my (gasp!) bread machine. wanna part with some of yours when we come visit?